Lately, there has been news of a number of blog to book projects that left us absolutely thrilled (La Tartine Gourmande, Cannelle et Vanille, GKS, Roost), and the Sprouted Kitchen cookbook is the latest release in that field. Being huge fans of Sara and Hugh Forte, we could hardly wait to receive our pre-ordered copy in the mail. The book is full of Sara’s wholesome, approachable recipes beautifully illustrated by Hugh’s virtuoso photography. 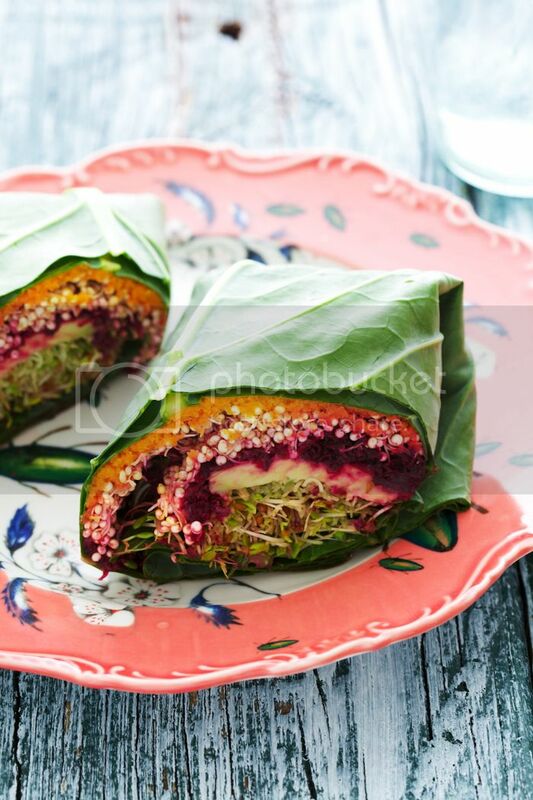 After devouring it cover to cover and being very inspired to get cooking, I decided to start with these quinoa collard green wraps complete with a carrot-miso spread, beets, sprouts, and avocado. My minor adjustment was sprouting the quinoa instead of cooking it, as suggested in the original recipe, but whichever method you prefer, the result is sure to be delicious. These wraps are full of clean, vibrant flavours, accompanied by a nice, healthy crunch. Next on my list are the Edamame Dumplings and Brussel Leaf Baby Spinach Saute, yum! Check out the book for much more serious sprouted goodness. 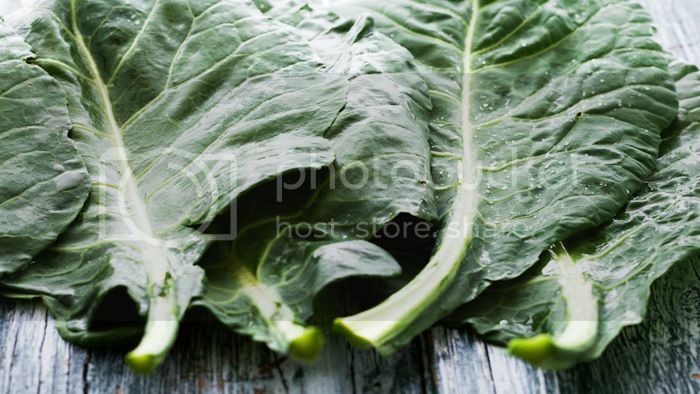 Cut the end stems off each collard leaf and shave down the stalk, making it the same thickness as the rest of the leaf. Mix tahini and a bit of lemon juice into the quinoa, set aside. Combine carrots, ginger, shallot, miso paste, honey and vinegar in a food processor until smooth, adding sesame oil and salt at the end. Using 2 leaves at a time, overlap them halfway to create a bigger wrapping surface. Place an even amount of carrot spread in each wrap. Top with quinoa, followed by beets, avocado and sprouts. 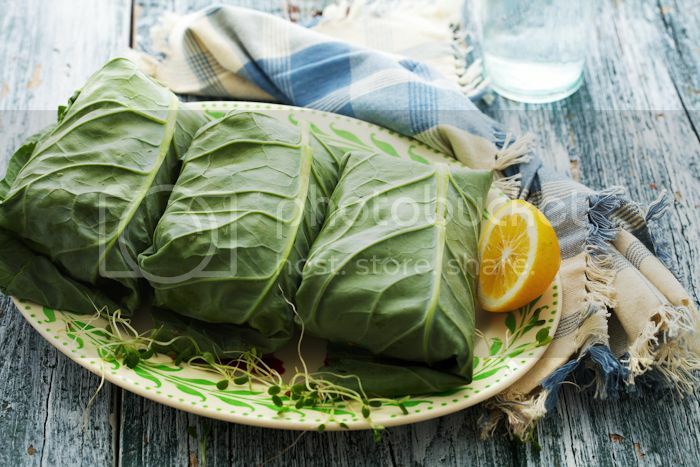 Fold the collard sides over and roll tightly like a burrito. You can serve it immediately or store in the fridge, wrapped, for about 2 days. What an enticing cookbook from Sprouted Kitchen. And the wraps… amazing colours, and so, so clean and healthy. Thanks for sharing! This looks great — thanks for sharing. What a wonderful alternative way to wrap up all my goodies! Love the shots!!! What a colourful dish! It looks beautiful. These wraps have all the foods I love (and I’m also a Sprouted Kitchen fan), so I wanna try this soon for sure. Love your pictures! The recipe couldn’t be fresher or prettier if it tried. The inside looks so creative =) Why don’t my creations look so gourmet, in their final form?!?!? Ha ha. Anyway, it looks great, can’t wait to try it out myself. This totally blows away my food-mind! Those wraps look absolutely amazing and I can’t wait to get my hands on a copy of their book. belated, so sorry. but thank you for the kind words! Your beautiful photo keeps popping up on pinterest :) thank you, my dear! oh yum! Not only looks delicious, but colorful too! Making these tomorrow! Ok, so this is delicious, especially the carrot/miso/ginger spread. The collards at my market weren’t looking so hot, so I went for swiss chard instead. My wraps totally fell apart and made a huge mess, but they’re still a great combination of amazing colors and super fresh flavors. Loved it. oh my word this recipe was amazing!!!! the kick from the ginger, the sweet from the beets the creamy form the quinoa!!!! was Delicious!!! I don’t know why I haven’t left a review for these but seriously… I’ve made them a hundred times. They’re SO good go make them right now!!! I actually just make a big batch of the dressing and use it on salads with beets and avocado. So good!!!! I love your site! The pictures are beautiful and the recipes delicious. I just posted a blogpost with a link to this delicious recipe. Thanks so much!